There's been a horrendous parcel of How to Train Your Dragon since the film establishment commenced in 2010. The underlying film, inexactly propelled by Cressida Cowell's book arrangement, presents a lanky Viking young person named Hiccup, who lives in a town regularly assaulted by winged serpents. After he becomes friends with a dark winged serpent, he names Toothless, he changes his general public and trains his kin to acknowledge and work with mythical beasts. 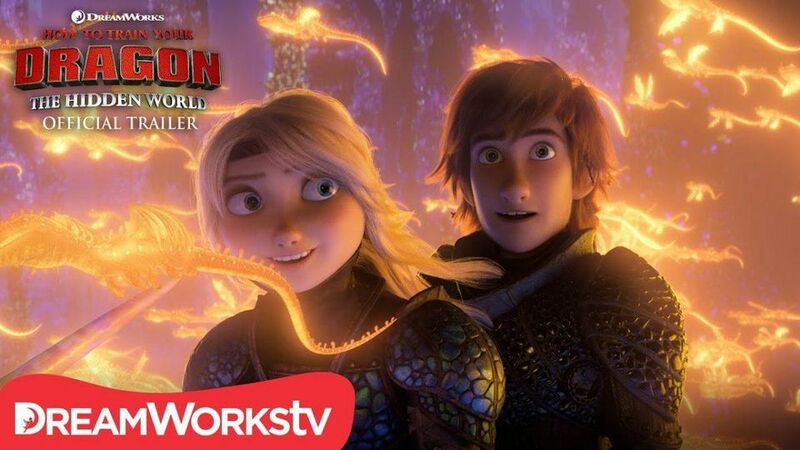 From that point forward, there have been short movies, an energized Cartoon Network arrangement, a vivified Netflix arrangement, a live performance center involvement, and almost twelve computer games set in a similar world, all notwithstanding the 2014 dramatic spin-off, How to Train Your Dragon 2. At the time, I pegged it as a conceivable break-out spin-off (the first had a 5x multiplier) and a "greatest motion picture of summer" contender in a to some degree feeble horde of similarly B-level establishments. It earned a still-extraordinary $621 million worldwide on a $165m spending plan, yet it somewhat failed to meet expectations in North America with $177m from a $49m opening. Regardless of (or as a result of) rave pre-discharge audits, the film wound up the path under the $217m local figure of the main How To Train Your Dragon in mid 2010 however completed a hell of a great deal better overall contrasted with the $494m-netting unique. Intriguingly enough, How To Train Your Dragon 2 marked a turning point in DWA’s animated destiny. Yes, it earned rave reviews and is often considered their very best movie, but the grim plot turns (including the murder of a beloved supporting character at the hands of another beloved supporting character) took its toll on the film’s family-driven buzz. As I noted at the time, considering the consumer base who don't want their kids to cry at the movies, I might argue that my mixed-positive “It’s okay and there’s nothing offensive” review of Planes: Fire and Rescue was more helpful to that film than my “It’s an emotional powerhouse and the best movie of the summer!” rave for HTTYD2. After that movie, and the complicated reception of the also tremendous but also very dark Kung Fu Panda 2 (which dealt with an onscreen genocide at the hands of the baddie), DWA movies started to lighten up quite a bit. Kung Fu Panda 3 was the lightest and least consequential of the series, to its detriment, feeling less like a theatrical drama and more like a three-part episode of Legends of Awesomeness. How to Train Your Dragon 2 was arguably the last DWA movie that could in any way be classified as a drama. That’s not to say that DreamWorks ignored serious issues, far from it. Home was a story of imperialism and colonialism disguised as a gee-whiz alien invasion story. Moreover, Trolls was essentially a story about genocide and mass murder done up as a candy-colored musical comedy. It’s hard to argue that the successes of these films showed that DWA was on the wrong track, and even something like the aggressive insane The Boss Baby would have been hailed as a whacked-out classic had it come from a more prestigious studio.